Queen Games have released a lot of games I enjoy with great components so I’m always interested in any of their new games. 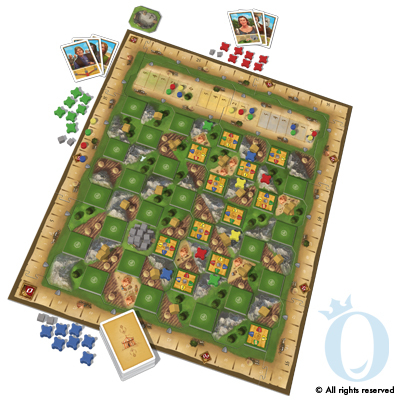 Fresco was good but, recently, their releases have included quite a lot of slightly updated versions of their existing games with a small tweak or addition here and there but not enough to make it a new game. So, it’s great to see a new game hinted at on their web site called Castelli. Until recently, there was only the cover art on their site but they have just added a picture of the game itself which looks very intriguing. With less than 10 days to Spiel, Queen Games are leaving it quite late to release info on it if it’ll be released at the show, but I shall definitely check it out if it’s there.